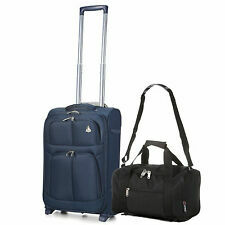 It also features a top carry handle and adjustable shoulder strap so it can be either worn or carried. Holdall Specifications: 35x20x20cm / Capacity: 14L / Weight: 0.9kg - Exactly the Ryanair Second Carry On Hand Luggage Allowance Size. 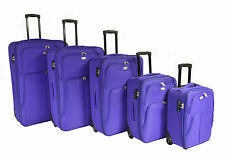 Set of 3 ABS luggage - 4 Wheels Colour: Purple Size: 48 / 58 / 68cm Hard Case. Save over 30% when buying this starter set! 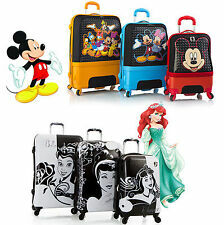 More Size, More Colour, More Choice, Click Here to Buy Now This extremely lightweight and fashion Suitcase was made by ABS and PC materials, which bring together the advantages of both materials. 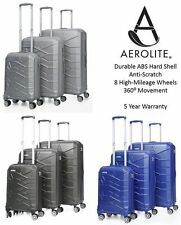 Smooth and silent 360-directional spinner wheels, TSA combination lock protects your international flight, sturdy ergonomic aluminum telescoping handle and soft side-handle for easy lifting.TSA locks ensure your belongings arrive safely to your destination. 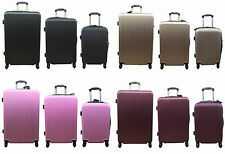 Perfect for business and leisure travelers, fashionable traveler and for those who love travelling. Features: . 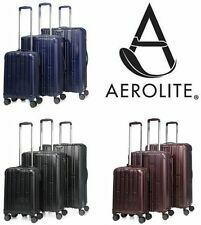 Practical and efficient, it has four wheels and a retractable handle so you can easily roll the case beside you during travel. 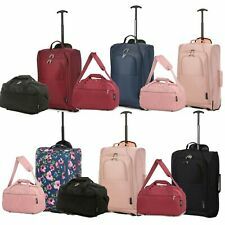 It has flexible top and side carry handles, while the glossy finish and stylish New York City design makes it easy to spot in a crowd.